Following George Osbourne’s Budget announcement, NAEA have offered a damning response as Wendy Evans-Scott, President of the National Association of Estate Agents (NAEA) labelled it a failure and a missed opportunity. “Not only has the Chancellor failed to offer any real help to lower and middle income homeowners and First Time Buyers, but from Saturday, the Stamp Duty Holiday for FTBs will be coming to an end. “Property is already over-taxed in the UK compared to other OECD countries* and instead of using the Budget as an opportunity for whole-scale reform of property taxation, the Chancellor has chosen to further tax property sales with the introduction of a 7% rate at the upper end of the market. “The Budget was a chance for George Osborne to support the green shoots of recovery, but there is actually very little in today’s announcement to support the UK’s fragile property market. To get the market moving again homeowners across the whole market need the confidence to sell their homes, and First Time Buyers need encouragement to climb onto the property ladder. Today’s Budget provided neither. The NAEA also believe the Government needs to look overseas and outside the box for ideas on getting First Time Buyers into the market. “The dampening effect Stamp Duty has on the housing market recovery is recognised across the industry. With First Time Buyers struggling to purchase their first home, the Government should think imaginatively and consider a one-off stimulus, such as a First Time Home Buyer Tax Credit as used in the United States”. Mrs Evans-Scott continued. 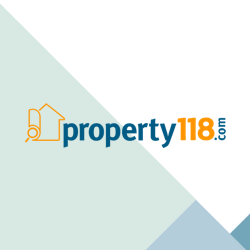 Bart Peerless, Head of the Private Wealth Sector at Law Firm Charles Russell also commented on how the Budget may impact large property investors. “The devil will clearly be in the detail of the tax changes affecting property, but the implication seems to be that to avoid these new penal rates of tax (and the new capital gains tax charge) international purchasers should own properties personally and not through other entities such as offshore companies. For such individuals the main reason for holding through a non-UK company was usually Inheritance Tax mitigation – if that risk now has to be managed in other (more costly) ways it may well affect sentiment towards the London property market.” he said.